I am finally back from a LONG weekend. 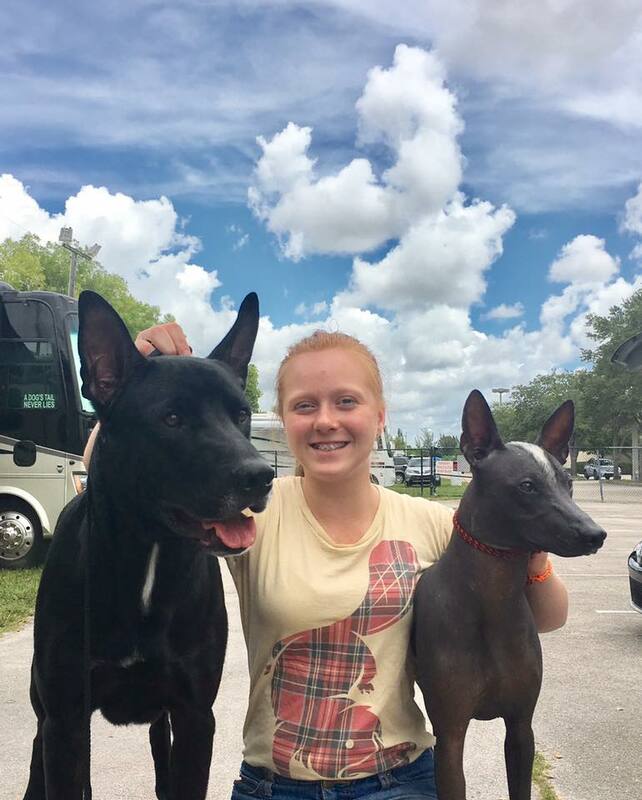 We went for four days to West Palm Beach for a dog show. We stayed with our friend, Victoria, in her cozy house where I slept on her super comfortable couch. She took the great picture of me and Quilla posted above. Quilla is a coated xolo. We went to one of my favorite restaurants, Darbster. I love this place. I had the burger, which I had last time, and the strawberry ice cream. You would never know there was no meat, no cheese, and no dairy. It was all delicious. We also ate at another place in Lantana called Oceano Kitchen. The best pizza, the best rigatoni with mushrooms, the best red snapper, the best best best salted caramel ice cream, and the best lemon blueberry tart ever. Victoria knows where to eat the best food anywhere. Sorry about so many bests, but, really, it was. 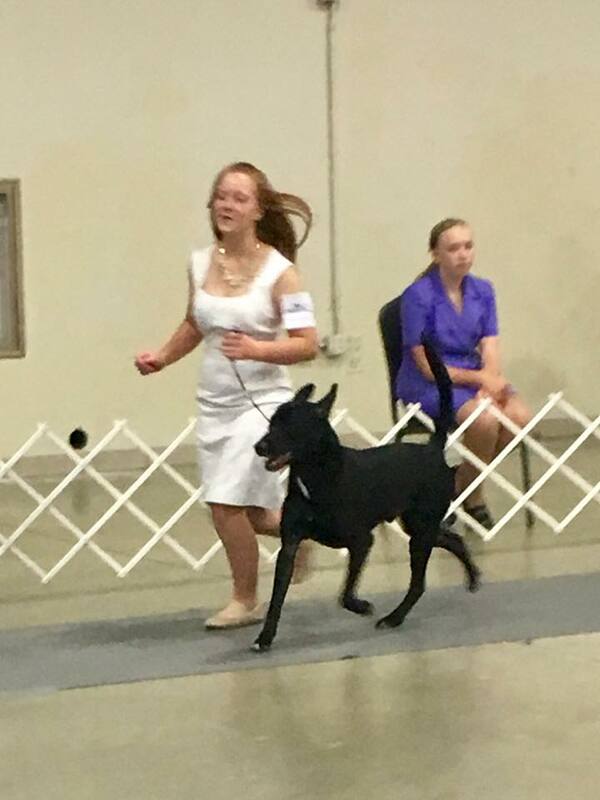 This dog show was busy. I showed other people’s dogs, not my own. I put majors on several dogs. We got to hang out with friends. I washed about ten dogs. I learned a new baiting move from Erica Lanasa, superstar handler to Sonnito, the chihuahua, and Roxom, the xoloitzcuintli. I tried to use it, but have some work to do. But I’m getting there. Posted in Dogs. Bookmark the permalink.